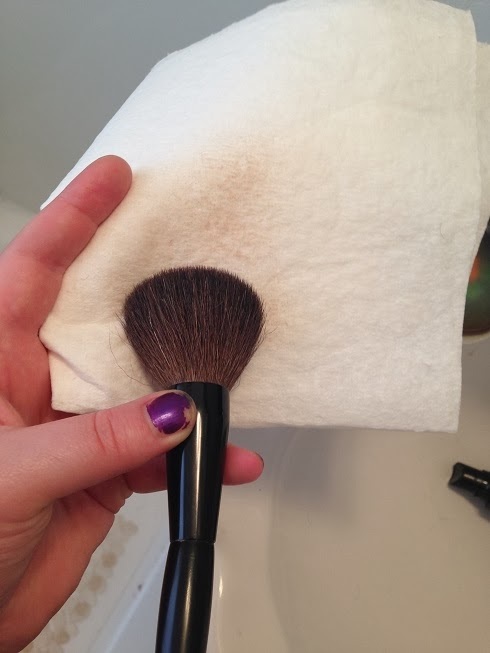 Find The Beauty, Be The Beauty: Starting the New Year with Clean Brushes! A blog about exploring the beauty in life, and finding ways to create beauty in the lives of others. Starting the New Year with Clean Brushes! Wow. It has been an incredibly long time since I've posted. I decided that this year I'm going to make more of an effort to post tutorials, both in video and photo form. I'll throw in other random posts too, but as I'm working towards understanding hair and makeup techniques better, I'll share my experiences. If there is anything in particular that you'd like to see this year, please let me know. Now on to the tutorial. 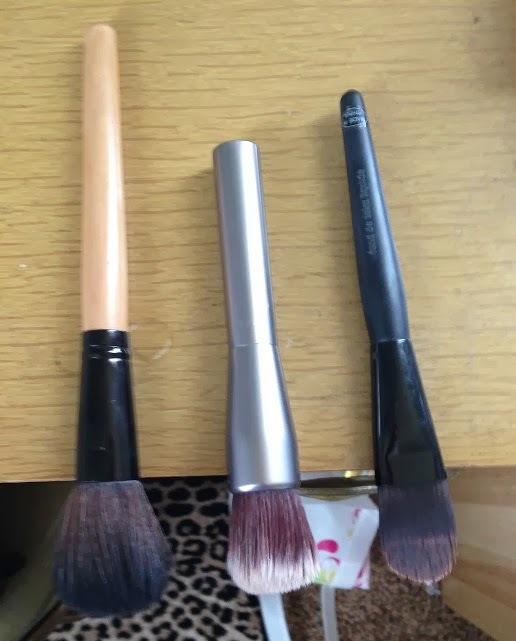 I clean my makeup brushes using two different techniques. The deep clean technique, using shampoo and water, is done on a bi-weekly basis. 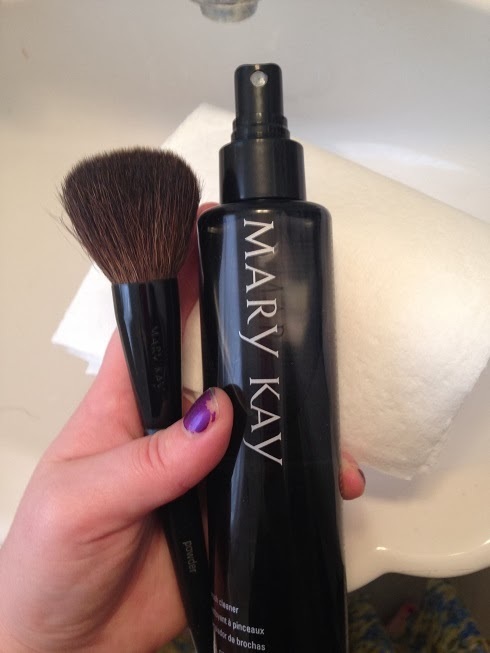 I clean my brushes after each use with the Mary Kay Brush Cleaner to extend the life of my brushes. A bonus is that I minimize breakouts and muddying my cosmetics by keeping the brushes clean and dry. We'll go over the shampooing method first. I should say that this process can be a bit time consuming, depending on how dirty your brushes are and how many you have. But if you spot clean the brushes after each use, you can minimize the time that this will take. It is also important to understand that using this method, brushes will need to dry for at least a few hours before the next use. First step: Gather a small bowl and fill partially with warm water and mild dish soap. 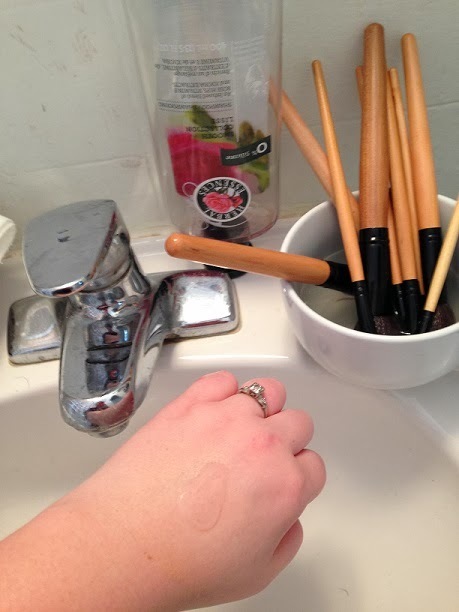 I use dish soap for this step because it will help break up any grease that might have accumulated in your brushes. 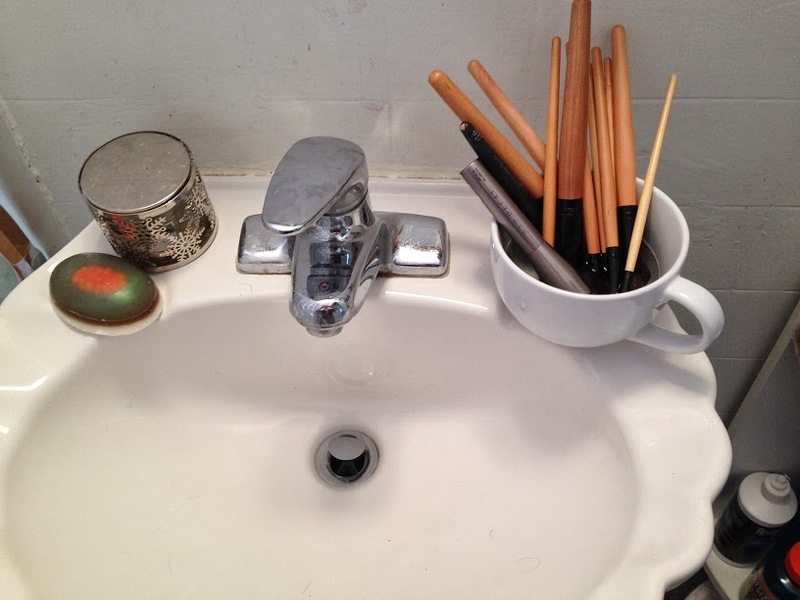 Set your brushes in the bowl so that the bristles are completely submerged in the water and let sit for a few minutes. Next, squeeze a dime sized drop of shampoo onto the back of your hand. I'm using Herbal Essences because it is mild and in my shower. Any kind of shampoo will work, but keep in mind that shampoos without sulfates are preferable because of the gentleness of the shampoo. 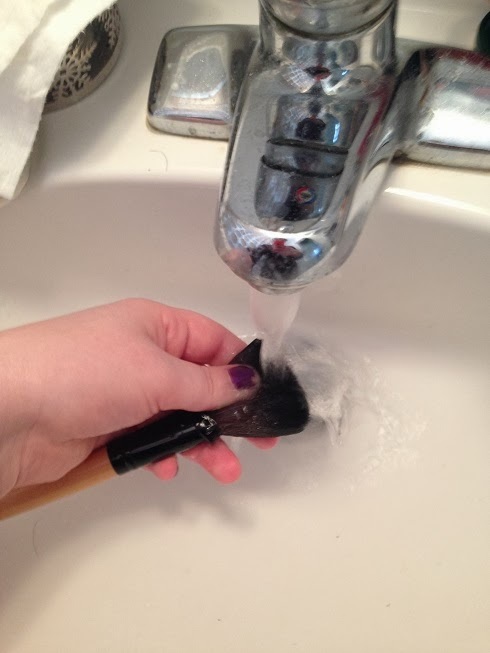 Take your brush, which has been soaking in the bowl with warm water and dish soap, and dip it into the shampoo. Gently swirl the brush on the back of your hand in the shampoo. 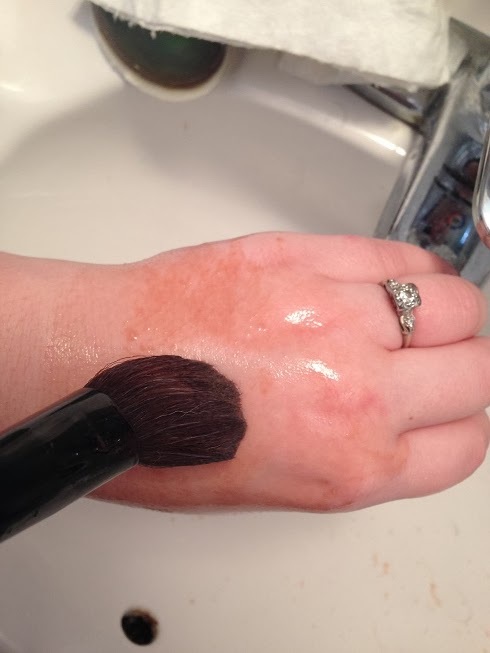 You should immediately see the makeup begin to run down the sink. While swirling on hand run under lukewarm water. Rinse well with lukewarm until the water runs clear. 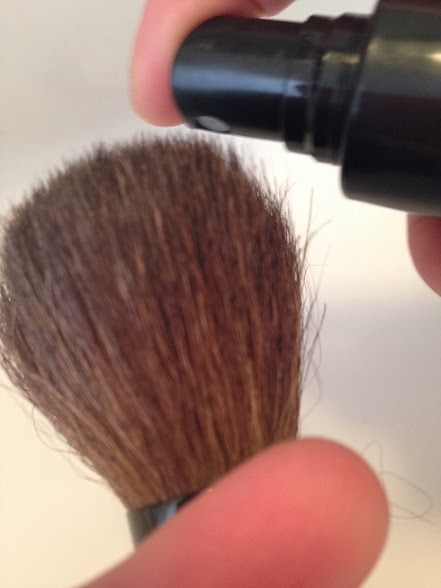 Spread the bristles with your thumb and forefinger to ensure that all makeup and shampoo has been rinsed. Take a paper towel and lightly squeeze the bristles until all excess water has been removed. Lay brush over edge of table so that the brush can dry without flattening the bristles. And you are all done! Yay! The next method is for daily brush cleaning. This is by no means an appropriate way to sanitize brushes for professional use, but rather a way to keep your personal brushes sanitary. For this you will need a paper towel and a brush cleaning spray. I use Mary Kay brush cleanser. Spray three or four pumps of cleanser onto the brush until the bristles are sufficiently damp. The goal here is to get the bristles wet, not sopping. 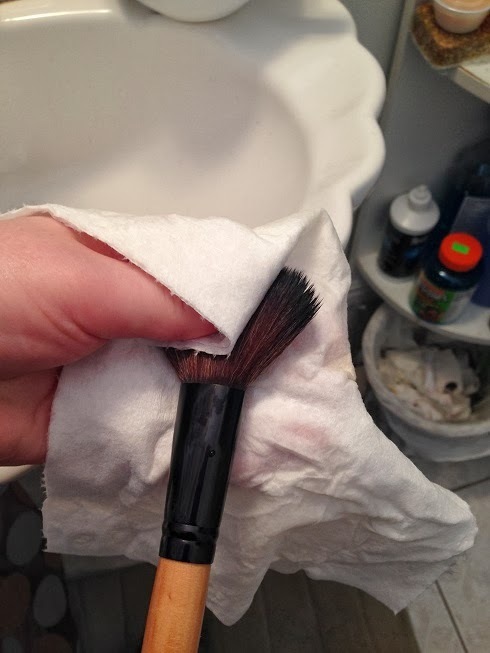 Lightly run bristles over a dry paper towel in the same way that you would over your face. This will dry the majority of the cleaner and product off of the brush. Let dry standing upright or laying over the edge of a counter. Should dry in a matter of minutes. Congratulations! You have clean brushes. Yay! Looking forward to a great year with you. Thanks for sticking with me! Thanks for reminding me that I need to deep clean my brushes! Your method is much more efficient than what I was doing! !